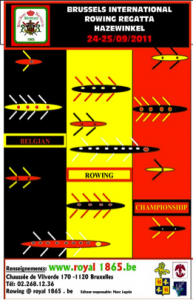 Champs were invited by the Royal Sport Nautique de Bruxelles to the Brussels International Rowing Regatta 24th and 25th September and bought home a Silver from the Ladies Masters Single Sculling event. Royal Sport Nautique stage this fantastic event every year at Hazewinkel, a 2km rowing and regatta course in Heindonk, near Brussels. 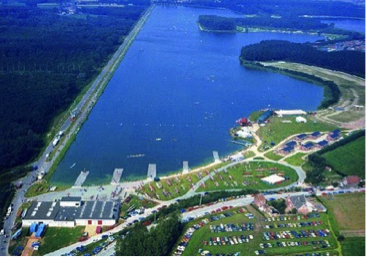 The course hosts the Great Britain Rowing team’s national final trials every year and, in July 1996 and 2006, the World Rowing Under 23 Championships too. 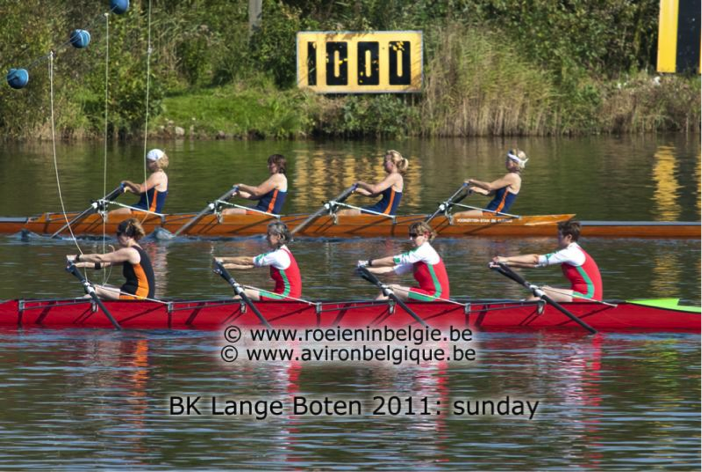 It has also hosted two World Rowing Championships (1980, 1985) as well as the Junior World Rowing Championships(1997). This huge, beautiful lake with clear water also provided the perfect back drop to some peaceful early morning and late evening single sculling. It was quite an adventure with the Royal providing boats and crew members to allow us to enter not only the single but also double and quad races. We competed against ex Olympic rowers in both of these and finished holding our heads up high. There were crazy moments too! After leaving the riggers for the quad in Brussels and realising this only a couple of hours before the quad race, a speedy run bought them to the lake just in time to rig them up and climb in with only 15 minutes to go until the start of the race. We had time to practice only one start (which was hilarious, it certainly gave us all a lovely cool shower!). Then it was straight to the starting line. Incredibly enough, having never been in a boat together, deciding who should sit where as we climbed into a boat far too large for us, we still managed to keep up with the other crew. At Hazewinkel, at the start, you have to grab hold of a piece of rope dangling in the lake and hold it between your teeth until the ‘go’ dropping it as you take your first stroke. They always say that if you taste the water of the Nile, you will be back. I suspect that this taste of Hazewinkel will take at least me back next September to try for the Gold! Who knows, it might be the beginning of a great collaboration between 2 clubs.